It was a beautiful day but thanks to Edward Cullen, I was in a bad mood! We were getting along great until he invited me on a valentine date on the coming friday. Was I unhappy? No! This was real thrilling news, infact this was what I had wished for from the day I had met him. But the fact that was worrying me was my hair. Until I met Edward, I used to get regular hair trims to keep split ends at bay. But he loved long hair and something about his lovely compliments and that sweet smile he gave me looking at my long tresses, just didn't encourage me to cut them short. Today it was he who pointed out that my hair were not as beautiful and smooth as they were before. Thanks to the split ends, this was the first anti-compliment I had received from him. Now the only way out was cutting my hair short which I am sure would upset Edward! To get a mood change, I read my favourite Harry potter book. While reading it, a sudden thought crossed me: Wouldn't it be great if we could make a hair potion?!! My thoughts drifted towards fairytales, from Harry potter and Cinderella to Rapunzel.....and I fell asleep. It was a lovely dream! 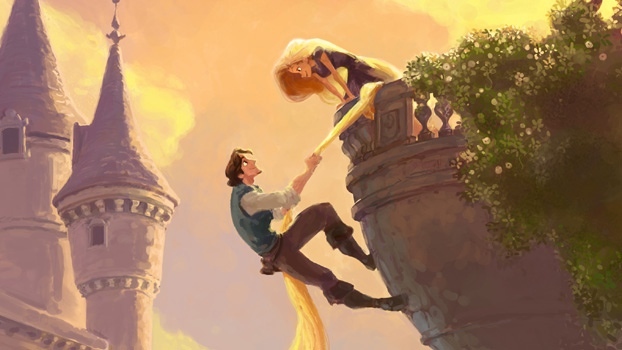 A beautiful woman with a river long mane of gorgeous golden tresses was letting her hair down the bewitched castle to help a sauve Prince climb to her. After chatting and flirting with Rapunzel for a while, the Prince climbed down the castle again using her beautiful hair. I couldn't help my curiosity and shouted "RAPUNZEL RAPUNZEL" when the prince was gone. She smiled at me and let her hair down saying "Climb Bushra". I climbed nervously and stood paralyzed for a while on the terrace, staring at those gorgeous, long golden tresses. "Rapunzel what's the secret of your Split end free hair?" I asked "Please tell me! I want to charm my Prince too!" "TRESemme TRESemme you are so awesome, you are a dream come true, my mother and sister are gonna love you too---tra -la -la... WAKEUP!!!! It was Mum! I jolted upright on my bed only to find Mum standing along my bed, staring at me. "What's up with you girl! I swear you are going crazy about hair. Calling out names of shampoos in dreams?!!! Get up and get ready for breakfast." To start with, when it comes to shampoos and conditioners, TRESemme is my favourite brand. I love the smooth and shine range from TRESemme! The new range is as promising and exciting as the previous ranges by TRESemme! The packaging is classy and sturdy! The 'Press to open' casps on the bottles are both convenient and travel friendly.The shampoo comes in a classy black bottle while the conditioner comes in a creamy white bottle which is a perfect replica of the shampoo except for its color. The contents of both the shampoo and conditioner are pearly white and heavenly smelling liquids! The conditioner is a bit thicker in density compared to the shampoo. The scent is mild and not overpowering - reminds you of luxury products! After three regular washes, I did notice that the shampoo had started its magic. The brittled splits were getting softer and behaved. It was not much but still it was a miracle! Psst! Don't you want to know what was Edward Cullen's reaction on our date? He gaped at my split-end free hair and said "Wow! I bet Bella will be jealous of your hair!" Do I here some angry warewolves ?? Thank God, my husband likes short hair. Loved the way how you included the verse when you asked her for hair remedy. Good luck! 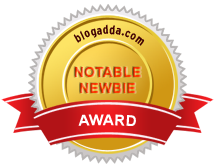 Great one...loved the way you've made the twists.. :-) best of luck..